What started as a backache for Tom Ramsey turned into an urgent, life-threatening situation. The Salt Lake City resident was eventually diagnosed with bladder cancer. The number of tumors discovered left no hope for salvaging his bladder. Tom was referred to Huntsman Cancer Institute (HCI) surgeon Christopher Dechet, MD, who specializes in urologic cancers. Dr. Dechet is a professor in the Division of Urology and holds the Andersen Family Endowed Chair for Urologic Oncology. Dr. Dechet confirmed Tom's diagnosis. “Almost 90 percent of his bladder was full of tumors,” he said. But he had a solution for Tom’s condition. 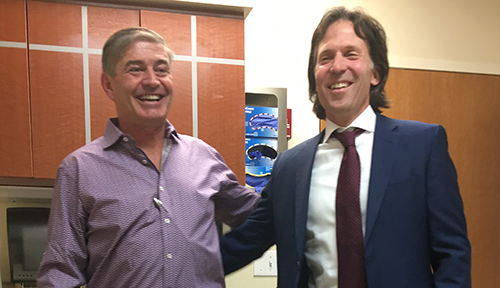 “I explained to him how I could remove his cancer-filled bladder and create what’s called a ‘neobladder’ out of his small intestine,” said Dr. Dechet. Tom consented, and Dr. Dechet and his team performed the complex operation. “I tell people they re-did my plumbing—basically took it apart and put it back together in a different way that still works,” said Tom. Tom recovered well from the surgery and was discharged from the hospital days ahead of schedule. Tom says he was determined to get his life back to normal. Part of his recovery involved learning how to recognize when his neobladder is full, since it doesn’t have the same sensation as a regular bladder. He sets a timer to remind himself to go to the bathroom every four hours. 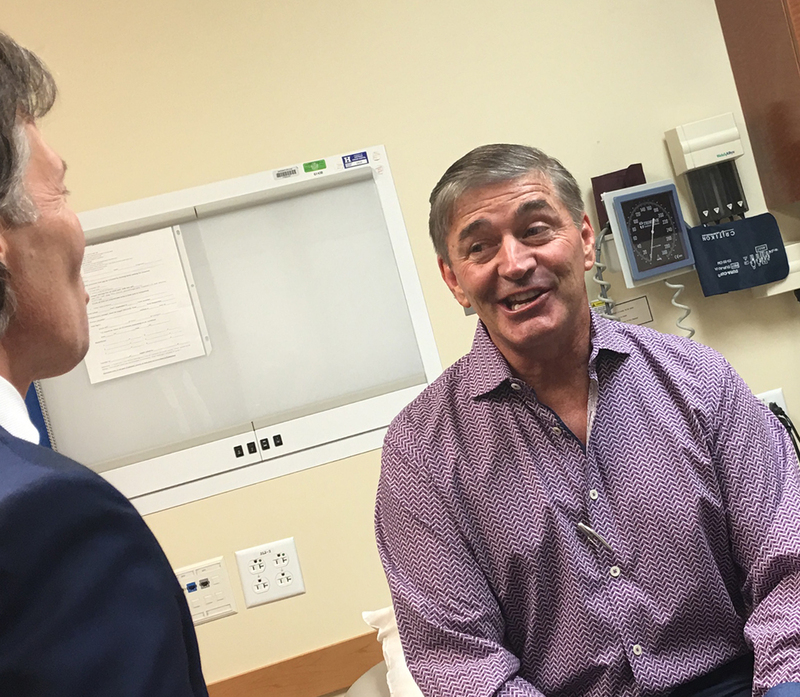 Dr. Dechet and his HCI colleagues have performed surgeries like or similar to Tom’s more than 300 times in the past seven years. The procedure is complex and requires significant post-operative care and training. HCI is the highest-volume center performing these procedures in the Mountain West. Dr. Dechet has also developed a pure robotic approach to this procedure that is appropriate for some patients. According to National Cancer Institute, bladder cancer is the fourth most common cancer in men. It’s estimated more than 80,000 Americans will be diagnosed with the disease this year and more than 17,000 will die of the disease. Most commonly, bladder cancer will not require removing the bladder, but in cases such as Ramsey’s or when the cancer is invasive, a bladder removal will be required. Age and family history can play a role in bladder cancer, but the biggest risk factor is tobacco use, especially smoking cigarettes. Tom never smoked a day in his life but says he was exposed to second-hand smoke as a child. Dr. Dechet and his team are actively researching other genetic and environmental causes of bladder cancer.